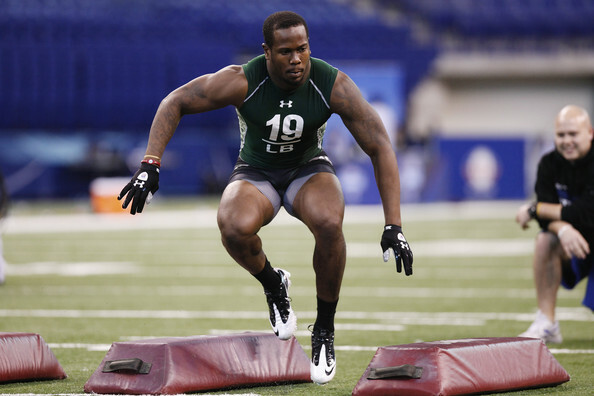 The NFL Scouting Combine begins this weekend in Indianapolis. More than 350 college players will go through all kinds of tests and drills designed to help NFL teams gather more extensive information on their physical skills, mental capacities, emotional make-up and medical background. The smart teams understand that the combine is a piece of the overall draft puzzle. They recognize the paramount importance of the medical exam, and they look forward to the opportunity to meet the players face-to-face. Keep in mind the logistical flow of the draft process. Every team’s college scouts have seen these players, both in person and on film. NFL coaches, for the most part, have not, since the large majority of their time preceding the combine has been spent on free agency. The limitations of the combine must be understood. Evaluating players working out in shorts and T-shirts must be placed in its proper context. It should not supersede careful study of coaching film. Here’s the critical caveat: You must have total knowledge of the NFL game, and a complete grasp of the differences between Sunday football and Saturday football. It comes down to a simple yet basic question, the only one that should be asked: How does a player project and transition to the NFL? That’s what the entire evaluation procedure should be about. The absolute key in assessing college players is not to be blinded by production but rather to have a strong understanding of the traits and attributes that translate to the NFL game. In addition, don’t be mesmerized by the power conferences in the NCAA, such as the SEC. Playing well in the SEC does not automatically translate to Sunday performance. It’s still college football, and the large majority of those Saturday players will not be wearing NFL uniforms. 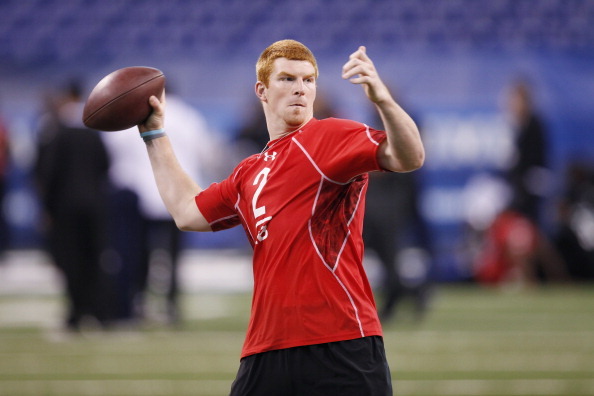 Let’s look at the quarterback, always the glamour position in any draft. It certainly will be again this year with Andrew Luck and Robert Griffin III both top-five selections, and perhaps even Ryan Tannehill sneaking into the top 10. It could be similar to the 2011 draft, when four quarterbacks were chosen in the first 12 picks, and six in the top 36. One advantage teams now have in evaluating quarterbacks is the narrowing disparity between college passing games and NFL passing concepts. Both utilize significant snaps of shotgun; both feature spread formations with 3- and 4-wide receiver personnel; both deploy athletic and versatile tight ends that dictate mismatches. There are more conceptual and tactical similarities than there were a number of years ago. You get a better feel studying college coaching tape than you did in the past. Perhaps there was no better example than Andy Dalton a year ago. He was the 35th player selected, and the fifth quarterback. One reason for that was Dalton did not possess the arm strength you would like to see. Despite protestations to the contrary, arm strength is a critical attribute in today’s NFL, the result of both defensive speed and strategic complexity. Dalton compensated with his understanding of pass concepts, the rapidity with which he processed information both pre-snap and post-snap, his elevated ability to throw with anticipation, and his pocket command and toughness. Those attributes allowed him to succeed at a high level in spite of his throwing limitations. Vague concepts like “he’s a winner” or “he just makes plays” might sound good on sports talk radio or on Twitter but are ultimately irrelevant. It’s about the ability to drop back, plant your back foot and deliver the football to the right receiver at the right time with precise ball location. If you can’t do that, with consistency, the intangibles don’t matter. At the combine, running backs and cornerbacks also grab the spotlight because of the overinflated emphasis on the 40-yard dash. Running fast in a straight line may be one of the most meaningless attributes in all of football. Think about the elite running backs in the NFL over the past couple of years — Adrian Peterson, Arian Foster, Maurice Jones-Drew, Ray Rice and the like. One characteristic they all share is lateral agility and explosiveness. They each have a shiftiness that makes it very difficult for defenders to get clean hits. They have that wiggle, that “shake and bake” that allows them to make unblocked defenders miss in the open field. 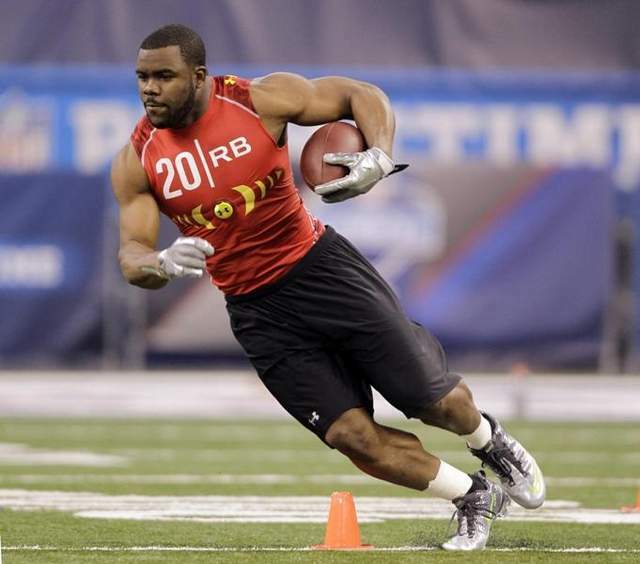 Lateral quickness and explosiveness are essential traits to be an elite runner in the NFL. Great runners create space with their quick feet and elusiveness. That’s far more important than straight-line speed, which has little to do with being a top-line NFL back. The same holds true at the cornerback position. The necessary traits include the ability to change direction quickly, to turn with fluid hips and run with receivers, to plant and drive forward from an off coverage position, to get your hands on a receiver from press position with proper technique and balance. The difference between a 4.35 40-yard dash and a 4.43 40-yard dash is meaningless if you don’t have the needed football attributes. Yet we will be told by many commentators that a player’s opportunity for success in the NFL is dependent upon his 40-yard dash time. Enjoy the combine on television. Sit on the edge of your seat as the 40 times race by. Listen carefully as a player’s high level of production is recited. Embrace the moment when one of your favorite players is called a “winner.” But do not be romanced by impressive physical performances in shorts and a T-shirt. It’s only one part of the evaluation process. The good organizations understand that a player’s performance on the field is the better barometer.